In Fine Jewelry > Georgian Jewelry > Show & Tell. For a collector of antique jewelry, some mourning hair jewels belong also to be present in the collection. 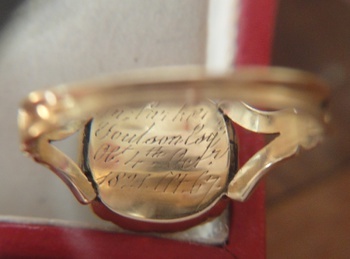 These two examples, a ring of 1821 and a brooch of 1824. Both gold with a border of black stones probably Onyx and carrying some hair of a loved deceased. These two jewels are tiny, but a very good memorial I think, don't you agree? Good afternoon (my local time) Dottie, thanks for your kindly words. 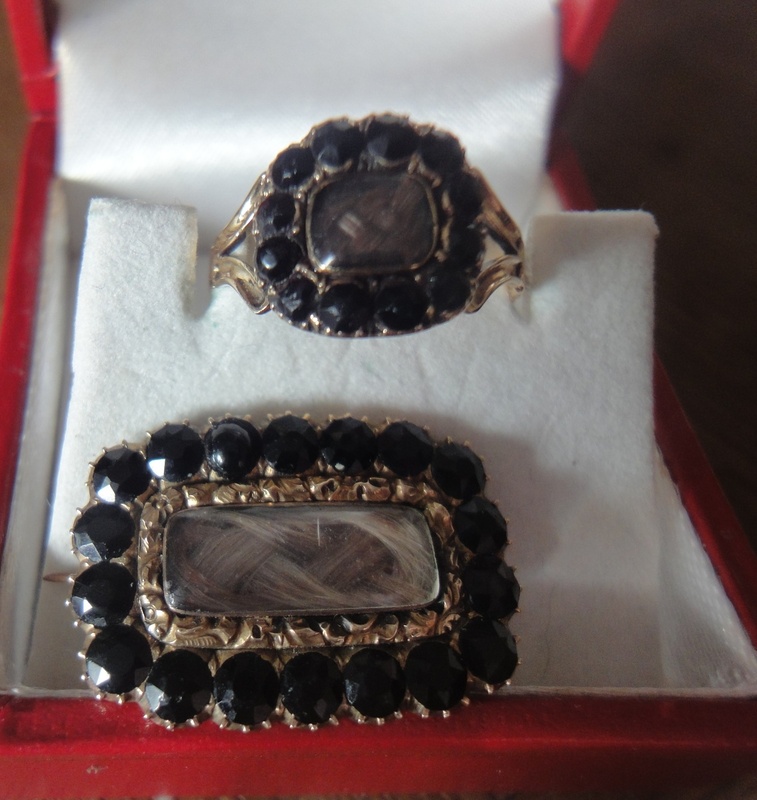 Mourning jewels have special attraction for me, I dont know why but I think because they have a special sign of love for the deceased. Exceptional!! 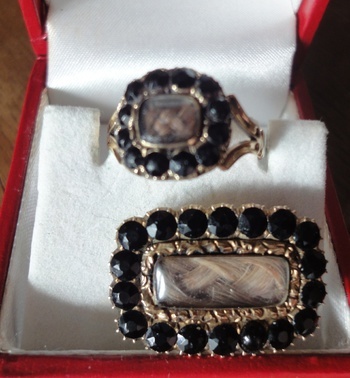 Very lovely mourning jewels! Thanks tdvintagecompany! Of course I agree. Thanks AmberRose and bratjdd for loving! 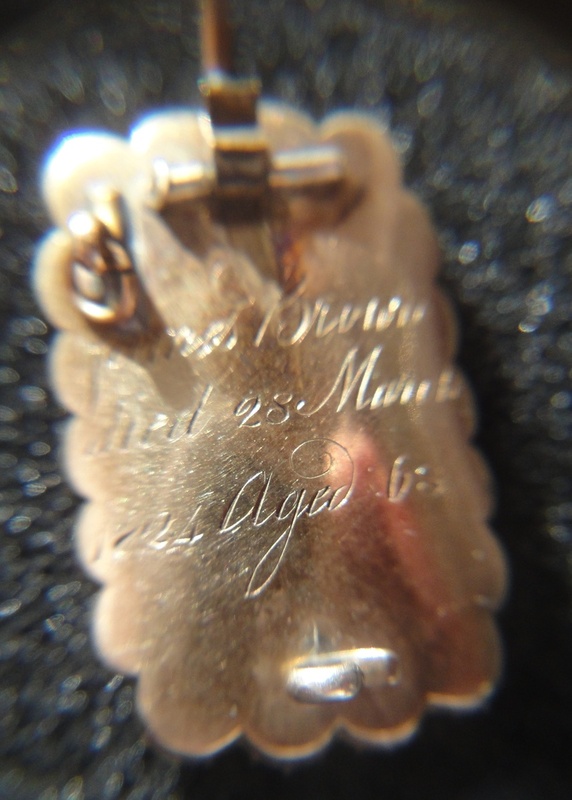 I love the period engraving that allows you to identify the deceased! scottvez, I agree, thanks for loving and your comment. Thanks Kevin, AR8Jason, how are you?